THE KERRY BROTHERS behind some of New York’s most iconic buildings plan to construct a massive skyscraper in Cork’s docklands. 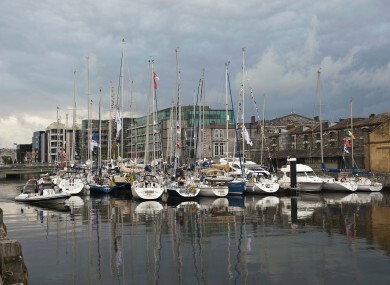 Port of Cork confirmed to Fora that it has sold a three-acre site in the city’s Custom House Quay to Tower Development Properties, a new company formed by US-based developers Kevin and Donal O’Sullivan. The brothers in recent years helped build parts of New York’s Ground Zero towers and 9/11 memorial, as well as Apple’s flagship store in the city. Now they’re hoping to build a 30 to 40-storey skyscraper, which would make it the tallest storied building on the island of Ireland – surpassing the 28-floor Obel Tower in Belfast and the 17-storey Elysian in Cork, among others. The development is subject to planning permission. If approved, the tower would primarily be used for a luxury hotel and office space, although it may include apartments for people who work in the area. Many of the existing buildings on the site are listed properties. They will be used for tourist purposes. The plans also feature other cultural elements such as a boardwalk, distillery and a restaurant with views of the River Lee. Commenting on the sale, Port of Cork’s commercial manager Michael McCarthy said the O’Sullivans’ “vision of a multi-use building” and “the mixture of culture and tourism certainly seemed to fit”. The site was put up for sale in 2016 through real estate agents Cushman & Wakefield with a guide price of €7 million. The final sale price is believed to be in the region of €5 million. Port of Cork will use the proceeds from the sale to build a new shipping container terminal in nearby Ringaskiddy, which is located on the southern side of Cork harbour. The port recently received planning permission for a €100 million development at Ringaskiddy that will include a new headquarters. Email “Two Kerry brothers plan to construct Ireland's tallest building in Cork”. Feedback on “Two Kerry brothers plan to construct Ireland's tallest building in Cork”.